Al-Qayrawan Media Foundation“Security Council Al-Qaida Sanctions Committee Adds Fourteen Individuals and Two Entities to Its Sanctions List,” United Nations, September 23, 2014, http://www.un.org/press/en/2014/sc11575.doc.htm. Ansar al-Sharia“Counter Terrorism Designations,” U.S. Department of the Treasury, January 10, 2014, http://www.treasury.gov/resource-center/sanctions/OFAC-Enforcement/Pages/20140110.aspx. Ansar al-Shari’ah“Counter Terrorism Designations,” U.S. Department of the Treasury, January 10, 2014, http://www.treasury.gov/resource-center/sanctions/OFAC-Enforcement/Pages/20140110.aspx. Ansar al-Shari’a in Tunisia (AAS-T)“Security Council Al-Qaida Sanctions Committee Adds Fourteen Individuals and Two Entities to Its Sanctions List,” United Nations, September 23, 2014, http://www.un.org/press/en/2014/sc11575.doc.htm. Ansar al-Shari’ah in Tunisia“Security Council Al-Qaida Sanctions Committee Adds Fourteen Individuals and Two Entities to Its Sanctions List,” United Nations, September 23, 2014, http://www.un.org/press/en/2014/sc11575.doc.htm. Partisans of Islamic Law in Tunisia“Security Council Al-Qaida Sanctions Committee Adds Fourteen Individuals and Two Entities to Its Sanctions List,” United Nations, September 23, 2014, http://www.un.org/press/en/2014/sc11575.doc.htm. Partisans of Sharia in Tunisia“Security Council Al-Qaida Sanctions Committee Adds Fourteen Individuals and Two Entities to Its Sanctions List,” United Nations, September 23, 2014, http://www.un.org/press/en/2014/sc11575.doc.htm. Shabab al-Tawhid (ST)Aaron Y. Zelin, “Shabab Al-Tawhid: The Rebranding of Ansar Al-Sharia in Tunisia?” Washington Institute for Near East Policy, May 9, 2014, http://www.washingtoninstitute.org/policy-analysis/view/shabab-al-tawhid-the-rebranding-of-ansar-al-sharia-in-tunisia. Supporters of Islamic Law“Counter Terrorism Designations,” U.S. Department of the Treasury, January 10, 2014, http://www.treasury.gov/resource-center/sanctions/OFAC-Enforcement/Pages/20140110.aspx. Supporters of Islamic Law in Tunisia“Security Council Al-Qaida Sanctions Committee Adds Fourteen Individuals and Two Entities to Its Sanctions List,” United Nations, September 23, 2014, http://www.un.org/press/en/2014/sc11575.doc.htm. Supporters of Sharia in Tunisia“Security Council Al-Qaida Sanctions Committee Adds Fourteen Individuals and Two Entities to Its Sanctions List,” United Nations, September 23, 2014, http://www.un.org/press/en/2014/sc11575.doc.htm. Ansar al-Sharia in Tunisia (AST) was a Salafist group that was prominent in Tunisia from 2011 to 2013.Daveed Gartenstein-Ross and Bridget Moreng, “Tunisian Jihadism after the Sousse Massacre,” Combatting Terrorism Center Sentinel 8, no. 10 (2015): 15, https://ctc.usma.edu/app/uploads/2015/10/CTCSentinel-Vol8Iss1036.pdf. AST sought to implement sharia (Islamic law) in the country and used violence in furtherance of that goal under the banner of hisbah (the duty to command moral acts and prohibit immoral ones).Daveed Gartenstein-Ross, “Ansar Al-Sharia Tunisia’s Long Game: Dawa, Hisba, and Jihad,” International Centre for Counter-Terrorism–The Hague, May 2013, http://www.icct.nl/download/file/Gartenstein-Ross-Ansar-al-Sharia-Tunisia%27s-Long-Game-May-2013.pdf. AST also actively engaged in dawa (Islamic missionary work), which took on many forms but were largely centered upon the provision of public services.Louisa Loveluck, “Planting the Seeds of Tunisia’s Ansar Al Sharia,” Foreign Policy, September 27, 2012, http://foreignpolicy.com/2012/09/27/planting-the-seeds-of-tunisias-ansar-al-sharia/; Daveed Gartenstein-Ross, “Ansar Al-Sharia Tunisia’s Long Game: Dawa, Hisba, and Jihad,” International Centre for Counter-Terrorism–The Hague, May 2013, http://www.icct.nl/download/file/Gartenstein-Ross-Ansar-al-Sharia-Tunisia%27s-Long-Game-May-2013.pdf. Accordingly, AST found a receptive audience among Tunisians frustrated with the political instability and dire economic conditions that followed the 2011 Tunisian Revolution.Daveed Gartenstein-Ross, “Ansar Al-Sharia Tunisia’s Long Game: Dawa, Hisba, and Jihad,” International Centre for Counter-Terrorism–The Hague, May 2013, http://www.icct.nl/download/file/Gartenstein-Ross-Ansar-al-Sharia-Tunisia%27s-Long-Game-May-2013.pdf. The group received logistical support from al-Qaeda central, al-Qaeda in the Islamic Maghreb (AQIM), Ansar al-Sharia in Libya (ASL), and later, from ISIS.Thomas Joscelyn, “Al Qaeda Responsible for 4 Attacks on U.S. Embassies in September,” Weekly Standard, October 3, 2012, https://www.weeklystandard.com/thomas-joscelyn/al-qaeda-responsible-for-4-attacks-on-us-embassies-in-september; Thomas Joscelyn, “Al Qaeda and the Threat in North Africa,” Long War Journal, November 21, 2013, http://www.longwarjournal.org/archives/2013/11/al_qaeda_and_the_thr_1.php; Jemal Arfaoui, “Tunisia: Ansar Al-Sharia Spokesman Backs Isis,” AllAfrica, May 14, 2013, http://allafrica.com/stories/201407090299.html; Agence France-Presse, “UN Security Council Adds Libya's Ansar Al-Sharia to Terror List,” Daily Telegraph (London), November 19, 2014, http://www.telegraph.co.uk/news/worldnews/africaandindianocean/libya/11242369/UN-Security-Council-adds-Libya-Islamists-to-terror-list.html. AST was designated as a terrorist group by the United States, the United Nations, and Tunisia, among others.“Individuals and Entities Designated by the State Department Under E.O. 13224,” U.S. Department of State, accessed March 25, 2015, http://www.state.gov/j/ct/rls/other/des/143210.htm; “Tunisia Declares Ansar Al-Sharia a Terrorist Group,” BBC News, September 14, 2012, http://www.bbc.com/news/world-africa-23853241; “Proscribed Terrorist Organizations,” United Kingdom Home Office, November 28, 2014, p. 7, https://www.gov.uk/government/uploads/system/uploads/attachment_data/file/380939/ProscribedOrganisations.pdf; “Security Council Al-Qaida Sanctions Committee Adds Fourteen Individuals and Two Entities to Its Sanctions List,” United Nations Security Council, September 15, 2014, http://www.un.org/press/en/2014/sc11575.doc.htm. AST was originally conceived in a Tunisian prison by 20 Islamist inmates in 2006, according to Aaron Zelin at the Washington Institute for Near East Policy. Following the Tunisian Revolution in 2011, many of those Islamist inmates were pardoned and released from prison, including Seifallah Ben Hassine (a.k.a. Abu Iyad al-Tunisi).Aaron Zelin, “Tunisia: Uncovering Ansar al-Sharia,” The Washington Institute for Near East Policy, October 25, 2013, https://www.washingtoninstitute.org/policy-analysis/view/tunisia-uncovering-ansar-al-sharia. Ben Hassine formally established AST in April 2011 and, according to a spokesman for Tunisia’s Interior Ministry, many of AST’s original members “were among those released from prison” under the general pardon.“Tunisia Declares Ansar Al-Sharia a Terrorist Group,” BBC News, August 27, 2013, http://www.bbc.com/news/world-africa-23853241; Yasmine Najjar, “Al-Qaeda Funds Ansar Al-Sharia, Tunisia Reveals,” AllAfrica, August 29, 2013, http://allafrica.com/stories/201308300788.html. Yasmine Ryan, “Who Killed Tunisia’s Chokri Belaid?” Al Jazeera, September 12, 2013, http://www.aljazeera.com/indepth/features/2013/09/201394183325728267.html; Daveed Gartenstein-Ross and Bridget Moreng, “An Escalation in Tunisia: How the State Went to War with Ansar Al-Sharia,” War on the Rocks, February 24, 2014, http://warontherocks.com/2014/02/an-escalation-in-tunisia-how-the-state-went-to-war-with-ansar-al-sharia/. In August 2013, the Tunisian government designated AST as a terrorist organization and launched a large-scale crackdown on the group.Aaron Zelin, “Tunisian jihadism five years after Ansar al-Sharia,” Middle East Institute, September 16, 2018, http://www.mei.edu/content/article/tunisian-jihadism-five-years-after-ansar-al-sharia. With the high number of arrests among its leadership and fighters and the rise of ISIS across the region, AST began to fragment.Anouar Boukhars, “The Reckoning: Tunisia’s Perilous Path to Democratic Stability,” Carnegie Endowment for International Peace, April 2, 2015, http://carnegieendowment.org/2015/04/02/reckoning-tunisia-s-perilous-path-to-democratic-stability-pub-59571. In July 2014, AST spokesman Seifeddine Rais declared loyalty to ISIS leader Abu Bakr al-Baghdadi.Jamel Arfaoui, “Tunisia: Ansar Al-Sharia Spokesman Backs Isis,” AllAfrica, May 14, 2013, http://allafrica.com/stories/201407090299.html. By mid-2015, analysts had reported that AST no longer existed in any meaningful way and that many of its surviving militants had left to fight alongside other jihadist groups in Libya and Syria.Anouar Boukhars, “The Geographic Trajectory of Conflict and Militancy in Tunisia,” Carnegie Endowment for International Peace, July 20, 2017, http://carnegieendowment.org/2017/07/20/geographic-trajectory-of-conflict-and-militancy-in-tunisia-pub-71585; “Mapping Militant Organizations: Ansar al-Shariah (Tunisia),” Stanford University, August 24, 2016, http://web.stanford.edu/group/mappingmilitants/cgi-bin/groups/view/547; Aaron Y. Zelin, “Between the Islamic State and al-Qaeda in Tunisia,” Washington Institute for Near East Policy, May 11, 2015, http://www.washingtoninstitute.org/policy-analysis/view/between-the-islamic-state-and-al-qaeda-in-tunisia. AST embraced Salafism: the belief that “pure Islam” was practiced by the generation of pious Muslims (the salaf) that lived around the time of the Prophet Muhammad.Fabio Merone, “Salafism in Tunisia: An Interview with a Member of Ansar Al-Sharia,” Jadaliyya, April 11, 2013, http://www.jadaliyya.com/pages/index/11166/salafism-in-tunisia_an-interview-with-a-member-of-; Shadi Hamid and Rashid Dar, “Islamism, Salafism, and jihadism: A primer,” Brookings, July 15, 2016, https://www.brookings.edu/blog/markaz/2016/07/15/islamism-salafism-and-jihadism-a-primer/. To restore “pure Islam” in modern times, AST supported the creation of an Islamic state governed by sharia.Fabio Merone, “Salafism in Tunisia: An Interview with a Member of Ansar Al-Sharia,” Jadaliyya, April 11, 2013, http://www.jadaliyya.com/pages/index/11166/salafism-in-tunisia_an-interview-with-a-member-of-. An unnamed AST member stated in an interview that “[t]he state that we imagine is based on God’s laws. This is the [sic] not up for discussion. We are Muslims and we want to act according [to] the Quran and sunna [body of legal practice].”Fabio Merone, “Salafism in Tunisia: An Interview with a Member of Ansar Al-Sharia,” Jadaliyya, April 11, 2013, http://www.jadaliyya.com/pages/index/11166/salafism-in-tunisia_an-interview-with-a-member-of-. AST claimed democracy and sharia cannot exist simultaneously—according to jihadist group scholar Aaron Y. Zelin, AST “believe[d] democracy is a separate religion from Islam.”Fabio Merone, “Salafism in Tunisia: An Interview with a Member of Ansar Al-Sharia,” Jadaliyya, April 11, 2013, http://www.jadaliyya.com/pages/index/11166/salafism-in-tunisia_an-interview-with-a-member-of-. AST members in Europe reportedly “flocked” to listen to al-Qaeda’s “most influential” cleric, Abu Qatada, who was also known as Osama bin Laden’s “European ambassador” for a time.Fabio Merone, “Salafism in Tunisia: An Interview with a Member of Ansar Al-Sharia,” Jadaliyya, April 11, 2013, http://www.jadaliyya.com/pages/index/11166/salafism-in-tunisia_an-interview-with-a-member-of-. AST shared al-Qaeda’s vision of global jihad and promoted jihad abroad.Aaron Y. Zelin, “Meeting Tunisia’s Ansar al-Sharia,” Foreign Policy, March 8, 2013, http://foreignpolicy.com/2013/03/08/meeting-tunisias-ansar-al-sharia/; Daveed Gartenstein-Ross, “Ansar Al-Sharia Tunisia’s Long Game: Dawa, Hisba, and Jihad,” International Centre for Counter-Terrorism–The Hague, May 2013, http://www.icct.nl/download/file/Gartenstein-Ross-Ansar-al-Sharia-Tunisia%27s-Long-Game-May-2013.pdf. “With our religion we can dominate the world, just like we used to in the past,” an anonymous AST member declared in 2013.Fabio Merone, “Salafism in Tunisia: An Interview with a Member of Ansar Al-Sharia,” Jadaliyya, April 11, 2013, http://www.jadaliyya.com/pages/index/11166/salafism-in-tunisia_an-interview-with-a-member-of-. In Tunisia, AST mainly focused on dawa, which it viewed as a precursor to future violent jihad.Aaron Y. Zelin, “Meeting Tunisia’s Ansar al-Sharia,” Foreign Policy, March 8, 2013, http://foreignpolicy.com/2013/03/08/meeting-tunisias-ansar-al-sharia/. “This is a long-term vision to prepare society,” AST spokesman Hassen Brik said. “We are for jihad, armed revolution, but we cannot do this if the people are not with us. It will only be possible when everyone is behind the vision.”Louisa Loveluck, “Planting the Seeds of Tunisia’s Ansar Al Sharia,” Foreign Policy, September 27, 2012, http://foreignpolicy.com/2012/09/27/planting-the-seeds-of-tunisias-ansar-al-sharia/. According to an alleged AST leader, the group was a “lightweight and decentralized movement, with an extended autonomy for the local groups, which are the real core of the movement.”Fabio Merone, “Salafism in Tunisia: An Interview with a Member of Ansar Al-Sharia,” Jadaliyya, April 11, 2013, http://www.jadaliyya.com/pages/index/11166/salafism-in-tunisia_an-interview-with-a-member-of-. The leader went on to emphasize the importance of the organization’s lowest level, local groups made up of around 20 people who coordinated the organization’s activities neighborhood by neighborhood. The organization was reportedly divided into northern, central, and southern branches.Fabio Merone, “Salafism in Tunisia: An Interview with a Member of Ansar Al-Sharia,” Jadaliyya, April 11, 2013, http://www.jadaliyya.com/pages/index/11166/salafism-in-tunisia_an-interview-with-a-member-of-. Counterterrorism scholar Daveed Gartenstein-Ross noted that although AST was divided into small, autonomous sub-groups, the group’s senior leadership was not “irrelevant or lacking any means of control.” In fact, senior leadership reportedly had direct control over various compartments, including offices for dawa, humanitarian activities, media, and tactical coordination.Daveed Gartenstein-Ross, “Ansar Al-Sharia Tunisia’s Long Game: Dawa, Hisba, and Jihad,” International Centre for Counter-Terrorism–The Hague, May 2013, http://www.icct.nl/download/file/Gartenstein-Ross-Ansar-al-Sharia-Tunisia%27s-Long-Game-May-2013.pdf. Gartenstein-Ross explained that “sources loyal to AST have an incentive to portray it as decentralized… by emphasizing this decentralization, AST can engage in violence without triggering a state crackdown.”Daveed Gartenstein-Ross, “Ansar Al-Sharia Tunisia’s Long Game: Dawa, Hisba, and Jihad,” International Centre for Counter-Terrorism–The Hague, May 2013, http://www.icct.nl/download/file/Gartenstein-Ross-Ansar-al-Sharia-Tunisia%27s-Long-Game-May-2013.pdf. AST’s principal fundraisers were “[Tunisian] charities that raise financial and in-kind donations,” according to Tunisian journalist Nebil Zaghdoud.Yasmine Najjar, “Al-Qaeda Funds Ansar Al-Sharia, Tunisia Reveals,” AllAfrica, August 29, 2013, http://allafrica.com/stories/201308300788.html. Tunisian researcher Sami Brahem said AST profited from smuggled goods and from “more than 120 legal organisations that distribute subsidies,” many of which operate overseas.Mona Yahia, “Ansar Al-Sharia Threatens Tunisia,” AllAfrica, December 13, 2013, http://allafrica.com/stories/201312150228.html. The Tunisian and U.S. governments claim AST received funding from al-Qaeda, particularly its affiliate al-Qaeda in the Islamic Maghreb (AQIM). In August 2013, Tunisia’s Director General of National Security, Mustapha Ben Amor, said that AST “is a member of the parent terrorist al-Qaeda” and that its financing came from “certain Arab countries, such as Yemen, Libya and Mali.” Yasmine Najjar, “Al-Qaeda Funds Ansar Al-Sharia, Tunisia Reveals,” AllAfrica, August 29, 2013, http://allafrica.com/stories/201308300788.html. David Cohen, then–U.S. Undersecretary of the Treasury for Terrorism and Financial Intelligence, stated that “AQIM…has provided funding for other terrorist groups including Ansar al-Sharia in Tunisia.”“Remarks of Under Secretary for Terrorism and Financial Intelligence David Cohen before the Center for a New American Security on ‘Confronting New Threats in Terrorist Financing,’” U.S. Department of the Treasury, March 4, 2014, http://www.treasury.gov/press-center/press-releases/Pages/jl2308.aspx. AST claimed to have recruited as many as 70,000 members since it was established in April 2011, according to a 2014 Economist article.S.J., “The Salafist Struggle,” Economist, January 1, 2014, http://www.economist.com/blogs/pomegranate/2014/01/dispatch-tunisia. AST appeared to attract recruits by capitalizing on popular frustration with the Tunisian government.Fabio Merone, “Salafism in Tunisia: An Interview with a Member of Ansar Al-Sharia,” Jadaliyya, April 11, 2013, http://www.jadaliyya.com/pages/index/11166/salafism-in-tunisia_an-interview-with-a-member-of-. As one student supporter of AST said: “They welcome people, they perform charitable works that the state doesn’t do: caravans bringing food aid, assistance, clothes, in every corner of the country in the poor neighborhoods.”Mischa Benoit-Lavelle, “Salafists, State Move Closer to Open Conflict in Tunisia,” Al-Monitor, May 20, 2013, https://www.al-monitor.com/pulse/originals/2013/05/tunisia-salafists-suppression.html#ixzz3aVP3wRfO. Like other Salafist groups, AST seemingly expanded its membership by recruiting through “preaching tents” on school campuses.Yasmine Najjar, “Al-Qaeda Funds Ansar Al-Sharia, Tunisia Reveals,” AllAfrica, August 29, 2013, http://allafrica.com/stories/201308300788.html. AST also recruited through social media. The group’s media wing, al-Qayrawan Media Foundation, used a Facebook page and Twitter account until both were removed. Al-Qayrawan later reemerged on those sites under other names.Aaron Y. Zelin, “Meeting Tunisia’s Ansar al-Sharia,” Washington Institute for Near East Policy, March 8, 2013, http://www.washingtoninstitute.org/policy-analysis/view/meeting-tunisias-ansar-al-sharia. Thousands of AST members received military training at camps in Libya and many went on to Syria to fight, alongside ISIS and other jihadist groups, against Bashar al-Assad’s forces.Thomas Joscelyn, “UN recognizes ties between Ansar al Sharia in Libya, Al Qaeda,” Long War Journal, November 19, 2014, http://www.longwarjournal.org/archives/2014/11/un_designates_ansar.php; Carlotta Gall, “Tunisia Fears Attacks by Citizens Flocking to Jihad,” New York Times, August 5, 2014, http://www.nytimes.com/2014/08/06/world/africa/tunisia-in-political-transition-fears-attacks-by-citizens-radicalized-abroad.html. June 2012: AST organizes riots in Tunis in protest of the “Spring of the Arts” exhibit in Tunis’s La Marsa suburb. Thousands of Islamists throw rocks and gasoline bombs at police stations, secular political offices, and courthouses. One person is killed, 65 police officers are injured, and 162 rioters are arrested.Tarek Amara and Lin Noueihed, “Tunisian Salafi Islamists riot over ‘insulting’ art,” Reuters, June 12, 2012, http://www.reuters.com/article/2012/06/12/us-tunisia-salafis-clash-idUSBRE85B0XW20120612. September 14, 2012: AST organizes protests in front of the U.S. Embassy in Tunis. AST leader Seifallah Ben Hassine participates in the protest and allegedly initiates violence against the embassy’s security guards.Daveed Gartenstein-Ross and Bridget Moreng, “Tunisia’s War with Ansar Al-Sharia: New Revelations About Al-Qaeda’s North African Network,” War on the Rocks, October 21, 2013, http://warontherocks.com/2013/10/tunisias-war-with-ansar-al-sharia-new-revelations-about-al-qaedas-north-african-network/. December 21, 2012: The Tunisian government announces the arrest of 16 members of a Tunisia-based AQIM-affiliated terrorist cell known as the Militia of Uqba Ibn Nafaa. Authorities say the cell members “were known for their active participation in events organized by [AST].”Thomas Joscelyn, “Tunisian Government Arrests Al Qaeda Cell Tied to Ansar Al Sharia,” Long War Journal, December 22, 2012, http://www.longwarjournal.org/archives/2012/12/tunisian_government.php#. February 6, 2013: AST gunmen assassinate secular Tunisian politician Chokri Belaid on the doorstep of his home.Daveed Gartenstein-Ross and Bridget Moreng, “Tunisia’s War with Ansar Al-Sharia: New Revelations about Al-Qaeda’s North African Network,” War on the Rocks, October 21, 2013, http://warontherocks.com/2013/10/tunisias-war-with-ansar-al-sharia-new-revelations-about-al-qaedas-north-african-network/. Al Jazeera describes his funeral as “one of the largest outpourings of grief in Tunisian history, with an estimated one million people taking to the street.”Yasmine Ryan, “Who Killed Tunisia’s Chokri Belaid?” Al Jazeera, September 12, 2013, http://www.aljazeera.com/indepth/features/2013/09/201394183325728267.html. The assassination causes the country’s biggest upheaval since the 2011 revolution that ousted former president Ben Ali.Yasmine Ryan, “Who Killed Tunisia’s Chokri Belaid?” Al Jazeera, September 12, 2013, http://www.aljazeera.com/indepth/features/2013/09/201394183325728267.html. May 20, 2013: In a massive show of force, Tunisian police and military block the third AST conference in Kairouan. A riot of approximately 40,000 supporters ensues during which Islamists chant “the rule of the tyrant should fall.” Tunisian security forces use tear gas to disperse the crowd and one person is killed.Mischa Benoit-Lavelle, “Salafists, State Move Closer to Open Conflict in Tunisia,” Al-Monitor, May 20, 2013, http://www.al-monitor.com/pulse/originals/2013/05/tunisia-salafists-suppression.html. July 25, 2013: AST assassinates secular politician Mohamed Brahmi. The Interior Ministry later determines that AST militants used the same gun to kill both Brahmi and Tunisian politician Chokri Belaid.Daveed Gartenstein-Ross and Bridget Moreng, “An Escalation in Tunisia: How the State Went to War with Ansar Al-Sharia,” War on the Rocks, February 24, 2014, http://warontherocks.com/2014/02/an-escalation-in-tunisia-how-the-state-went-to-war-with-ansar-al-sharia/. July 29, 2013: In the midst of heightened tension between AST and the Tunisian government, unidentified militants ambush Tunisian soldiers in the Mount Chaambi region, a hotbed of Islamic extremism located near the border with Algeria. The assailants kill at least eight soldiers, allegedly cutting the throats of three.Bouazza Ben Bouazza, “8 Tunisian soldiers killed in militant ambush,” Associated Press, July 29, 2013, http://bigstory.ap.org/article/official-8-tunisian-soldiers-killed-ambush. October 17, 2013: AST militants kill two Tunisian policemen during clashes in Goubellat, Tunisia.“Gunmen Kill Two Tunisian Police in Northern City,” Reuters, October 17, 2013, http://www.reuters.com/article/2013/10/17/us-tunisia-security-idUSBRE99G0LS20131017. October 30, 2013: AST members attempt to carry out two separate suicide attacks. One bomber blows himself up at the Riadh Palms hotel in Sousse, with no reported casualties. Nearby, in the city of Monastir, security forces prevent a second suicide attack targeting the mausoleum of former Tunisian president Habib Bourguiba.Tristan Dreisbach, “Bombing at Hotel in Sousse, Failed Bombing in Monastir,” Tunisia Live, October 30, 2013, http://www.tunisia-live.net/2013/10/30/attack-on-hotel-in-sousse/. February 2014: AST deputy leader Kamel Zarrouk surfaces in Syria, waging jihad there alongside ISIS fighters.Bill Roggio, “Ansar Al Sharia Tunisia Deputy Leader Reportedly in Syria,” Long War Journal, February 27, 2014, http://www.longwarjournal.org/archives/2014/02/ansar_al_sharia_tuni_7.php?utm_source=rss&utm_medium=rss&utm_campaign=ansar-al-sharia-tunisia-deputy-leader-reportedly-in-syria#. February 16, 2014: Four militants disguised as Tunisian security officials kill three policemen and a civilian, wounding another two policemen and a border guard near Tunisia’s border with Algeria. Although no group claims responsibility, Tunisian authorities implicate AST.“Fighters Kill Policemen in Tunisia,” Al Jazeera, February 16, 2014, http://www.aljazeera.com/news/middleeast/2014/02/fighters-kill-policemen-tunisia-201421693036139272.html. The attacks trigger protests in the northwestern Tunisian city of Jendouba. More than a thousand people demonstrate in solidarity with the victims.“Tunisians Protest against Attack on Police,” Al Jazeera, February 18, 2014, http://www.aljazeera.com/news/middleeast/2014/02/tunisians-protest-against-attack-police-2014217224610567113.html. March 21, 2014: AST militants kidnap Mohamed bin Sheikh, the secretary of the Tunisian ambassador, in Tripoli, Libya. AST releases Sheikh on June 29, 2014.Ansar al-Shariah (Tunisia), Mapping Militant Organizations – Stanford University, August 24, 2016, http://web.stanford.edu/group/mappingmilitants/cgi-bin/groups/view/547. July 16, 2014: AST militants armed with rifles and rocket-propelled grenades kill 14 Tunisian soldiers in an attack on military checkpoints near the border with Algeria.“At Least Five Tunisia Soldiers Dead After Militant Attack,” Reuters, July 16, 2014, http://www.reuters.com/article/2014/07/17/us-tunisia-violence-idUSKBN0FL2UC20140717; Tarek Amara, “Tunisia Orders Crackdown After Militants Kill 14 Soldiers,” Reuters, July 19, 2014, http://www.reuters.com/article/2014/07/20/us-tunisia-violence-idUSKBN0FO10420140720. The attack sparks a massive crackdown by Tunisian security forces, including airstrikes and a ground “combing” operation.Yasm Najjar, “Tunisia: Ansar Al-Sharia Claims Jebel Chaambi Attacks,” AllAfrica, August 1, 2014, http://allafrica.com/stories/201408041566.html. On July 20, AST formally claims responsibility for the attack.Kevin Moore, “‘Statement from Ansar Al-Sharia in Tunisia Claiming Responsibility for Attack on Tunisian Security Forces,’ 19 July 2014,” Edinburgh Arabic Initiative, July 20, 2014, https://edinburgharabicinitiative.wordpress.com/2014/07/20/statement-from-ansar-al-sharia-in-tunisia-claiming-responsibility-for-attack-on-tunisian-security-forces/. July 26, 2014: Gunmen, armed with rocket-propelled grenades and rifles, attack military checkpoints in the Jebel Chaambi region, killing two Tunisian soldiers. AST claims responsibility for the attack two days later.Yasm Najjar, “Ansar Al-Sharia Claims Jebel Chaambi Attacks,” AllAfrica, August 1, 2014, http://allafrica.com/stories/201408041566.html. October 14, 2014: Tunisian security forces uncover a plot to assassinate Ahmed Nejib Chebbi, a vocal leader of the country’s secular Republican Party. Following the discovery, the government arrests a group of AST militants, including two women. The attack was allegedly set to occur just days before the country’s parliamentary elections.Tarek Amara, “Tunisia Says It Thwarted Jihadist Attack before Elections,” Reuters, October 14, 2014, http://www.reuters.com/article/2014/10/14/us-tunisia-islamists-idUSKCN0I324020141014. October 24, 2014: Following a 24-hour standoff between police and AST militants in the outskirts of Tunis, Tunisian security forces kill six militants, five of who are women. One police officer is wounded in the firefight.Heba Saleh, “Tunisia Police Kill Six Militants in Operation Ahead of Election,” Financial Times, October 24, 2014, http://www.ft.com/cms/s/0/5b12f76e-5b7c-11e4-b68a-00144feab7de.html#axzz3NxR68pNB. November 5, 2014: Islamist militants kill four Tunisian soldiers and wound 11 in an attack on a bus near the Algerian border. AST is suspected.“Four Tunisian Soldiers Killed in Suspected Islamist Attack,” Reuters, November 5, 2014, http://www.reuters.com/article/2014/12/01/us-tunisia-security-idUSKCN0JF1R020141201. December 17, 2014: In an ISIS video, AST-linked French-Tunisian jihadist Abubakr al-Hakim claims to have orchestrated the 2013 assassinations of secular Tunisian politicians Mohammed Brahmi and Chokri Belaid. After the Tunisian government designated AST as a terrorist organization in August 2013, analysts reported that many Islamists associated with the organization, including al-Hakim, joined ISIS in Syria.“Video claims Islamic State responsibility for 2013 Tunisia assassinations,” Japan Times, December 19, 2014, https://www.japantimes.co.jp/news/2014/12/19/world/video-claims-islamic-state-responsibility-for-2013-tunisia-assassinations/; Thomas Joscelyn, “US confirms death of high-profile Tunisian Islamic State assassin,” Long War Journal, December 12, 2016, https://www.longwarjournal.org/archives/2016/12/us-confirms-death-of-tunisian-islamic-state-leader-involved-in-high-profile-assassinations.php; George Packer, “Exporting Jihad: The Arab Spring has given Tunisians the freedom to act on their unhappiness,” New Yorker, March 28, 2016, https://www.newyorker.com/magazine/2016/03/28/tunisia-and-the-fall-after-the-arab-spring. June 26, 2015: In modern Tunisia’s worst terrorist attack, a gunman massacres 38 European and Russian tourists, 30 of whom are British, at Port El Kantaoui, near the Tunisian beach resort town of Sousse. The perpetrator, Seifeddine Rezgui Yacoubi, is believed to have been recruited by terror group Ajnad al-Khilafah, an organization that emerged from AST.Camilla Turner, “Tunisia attack: gunman’s links to Britain,” Telegraph (London), June 30, 2015, http://www.telegraph.co.uk/news/uknews/terrorism-in-the-uk/11707325/Tunisia-beach-massacre-gunmans-links-to-Britain.html; Tom Porter, “Tunisia attack: UK links to Seifeddine Rezgui terror group Ansar al-Sharia emerge,” International Business Times, July 1, 2015, http://www.ibtimes.co.uk/tunisia-attack-uk-links-seifeddine-rezgui-terror-group-ansar-al-sharia-emerge-1508812. January 10, 2014: The Department of State designates Ansar al-Sharia Tunisia as a Foreign Terrorist Organization (under section 219 of the Immigration and Nationality Act).“Individuals and Entities Designated by the State Department Under E.O. 13224,” U.S. Department of State, accessed March 25, 2015, http://www.state.gov/j/ct/rls/other/des/143210.htm. 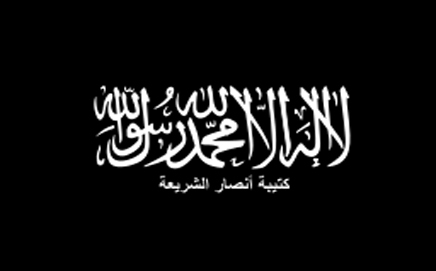 January 10, 2014: The Department of State designates Ansar al-Sharia Tunisia as a Specially Designated Global Terrorist entity (under Executive Order 13224).“Terrorist Designations of Three Ansar Al-Shari’a Organizations and Leaders,” U.S. Department of State, January 10, 2014, https://www.state.gov/j/ct/rls/other/des/266560.htm. January 10, 2014: The Department of State designates Seifallah Ben Hassine AKA Abu Iyad al-Tunisi AKA Abou Iyadh, then-leader of AST, as a Specially Designated Global Terrorist (under Executive Order 13224).“Terrorist Designations of Three Ansar Al-Shari’a Organizations and Leaders,” U.S. Department of State, January 10, 2014, https://www.state.gov/j/ct/rls/other/des/266560.htm. April 19, 2002: The Department of State designates Mohamed ben Belgacem ben Abdallah al-Aouadi AKA Mohamed ben Belgacem, head of AST security wing, as a Specially Designated Global Terrorist (under Executive Order 13224).“Executive Order 13224,” U.S. Department of the Treasury, accessed March 25, 2015, http://www.treasury.gov/resource-center/sanctions/Programs/Documents/terror.pdf. Tunisia listed Ansar al-Sharia Tunisia as a terrorist organization on August 27, 2013.“Tunisia Declares Ansar Al-Sharia a Terrorist Group,” BBC News, September 14, 2012, http://www.bbc.com/news/world-africa-23853241. The United Kingdom listed Ansar al-Sharia Tunisia as a terrorist organization in April 2014.“Proscribed Terrorist Organizations,” United Kingdom Home Office, November 28, 2014, p. 7, https://www.gov.uk/government/uploads/system/uploads/attachment_data/file/380939/ProscribedOrganisations.pdf. The United Nations listed Ansar al-Shari'a in Tunisia (AAS-T) AKA Ansar al Sharia Tunisia AKA AST as a Terrorist Organization associated with al-Qaeda pursuant to resolution 2161 (2014) on September 23, 2014.“Security Council Al-Qaida Sanctions Committee Adds Fourteen Individuals and Two Entities to Its Sanctions List,” United Nations Security Council, September 15, 2014, http://www.un.org/press/en/2014/sc11575.doc.htm. The United Nations listed Seifallah Ben Hassine AKA Abu Iyad al-Tunisi AKA Abou Iyadh, then-leader of AST, as an Individual Associated with al-Qaeda pursuant to resolution 2161 (2014) on September 23, 2014.“Security Council Al-Qaida Sanctions Committee Adds Fourteen Individuals and Two Entities to Its Sanctions List,” United Nations Security Council, September 15, 2014, http://www.un.org/press/en/2014/sc11575.doc.htm. There is a long history of documented cooperation between AST and al-Qaeda. Former AST leader Seifallah Ben Hassine reportedly met with al-Qaeda leaders Osama bin Laden and Ayman al-Zawahiri before the 9/11 attacks. The Tunisian Combatant Group (TCG), founded by Ben Hassine in 2000, was accused of helping al-Qaeda assassinate Northern Alliance commander Ahmed Shah Massoud on September 9, 2001. In April 2001, a “dual TCG-al Qaeda operative” was arrested in Italy for planning an attack against the U.S. Embassy in Rome. The plot forced U.S. embassies and consulates across the country to close for the first time since the first Gulf War.Thomas Joscelyn, “Al Qaeda Responsible for 4 Attacks on U.S. Embassies in September,” Weekly Standard, October 3, 2012, http://www.weeklystandard.com/blogs/al-qaeda-responsible-4-attacks-us-embassies-september_653460.html?page=1. Long War Journal’s Thomas Joscelyn drew direct connections between AST and al-Qaeda in an October 2012 report in the Weekly Standard, writing that AST founder Ben Hassine was a “notorious al Qaeda terrorist.” Ben Hassine reportedly formed the Tunisian Combatant Group (TCG) “in coordination with’ al-Qaeda,” according to the United Nations.Thomas Joscelyn, “Al Qaeda Responsible for 4 Attacks on U.S. Embassies in September,” Weekly Standard, October 3, 2012, http://www.weeklystandard.com/blogs/al-qaeda-responsible-4-attacks-us-embassies-september_653460.html?page=1. As a close associate of al-Qaeda, Ben Hassine reportedly fought with the group alongside the Taliban in Afghanistan even after the country fell to coalition forces in 2001. A Joint Task Force-Guantanamo report found that Ben Hassine and other future Guantanamo detainees had formed a unit called the “Jalalabad Group” that “volunteered to defend [bin Laden] and the embattled al Qaeda fighters at Tora Bora.”Thomas Joscelyn, “Al Qaeda Ally Orchestrated Assault on US Embassy in Tunisia,” Long War Journal, October 2, 2012, http://www.longwarjournal.org/archives/2012/10/al_qaeda_ally_orches.php. As for AST’s ideological influences, a young AST leader interviewed by Fabio Merone in 2013 said that AST shares its “theoretical references with the international jihadi movement.” Some of the group’s biggest ideological influences, including Abu Qatada al-Filastini, Abu Mohamed al-Maqdisi, Hani al-Sibai, and Anwar al-Awlaki, have established al-Qaeda connections. Abu Qatada, who was known as Osama bin Laden’s “European ambassador,” is allegedly the “most influential” of all, as AST members who lived in Europe “flocked to listen to his lessons.”Fabio Merone, “Salafism in Tunisia: An Interview with a Member of Ansar Al-Sharia,” Jadaliyya, April 11, 2013, http://www.jadaliyya.com/pages/index/11166/salafism-in-tunisia_an-interview-with-a-member-of-. In its statements and media releases, AST has been outspoken about its strong relationship with al-Qaeda. In September 2013, AST posted a message on its Facebook page that read, “We remind again that our blessed method is declared and there is no hiding in it, and regarding our loyalty to Qaeda al Jihad and the jihadi formations, we have declared it from the first day and we are not ashamed to renew today our declaration with a louder voice.”Thomas Joscelyn, “Ansar Al Sharia Responds to Tunisian Government,” Long War Journal, September 3, 2013, http://www.longwarjournal.org/archives/2013/09/ansar_al_sharia_tuni_6.php#. After bin Laden was killed in May 2011, Ben Hassine reportedly said: “Let the entire world celebrate the death of one of our Ummah’s leaders since the death and martyrdom of our leaders for the sake of this straight path… is an indication of the truthfulness of our way… This is the allegiance, and that is the promise to Allah—do not regress after the death of your sheikh [i.e., bin Laden], or the deaths of your leaders. Remain steadfast—and die for [the same cause] for which the best among you died.”Thomas Joscelyn, “Ansar Al-Sharia Tunisia Honors Senior Al Qaeda ‘Martyrs,’” Long War Journal, January 30, 2013, http://www.longwarjournal.org/archives/2013/01/ansar_al_sharia_tuni_3.php#. In January 2013, AST honored two more deceased al-Qaeda members of on its Facebook page: Said al Shihri, co-founder and deputy emir of al-Qaeda in the Arabian Peninsula (AQAP), and Khalid bin Abdul Rahman al Husainan, a top leader of al-Qaeda central.Thomas Joscelyn, “Ansar Al-Sharia Tunisia Honors Senior Al Qaeda ‘Martyrs,’” Long War Journal, January 30, 2013, http://www.longwarjournal.org/archives/2013/01/ansar_al_sharia_tuni_3.php#. In October of 2013, Tunisian Prime Minister Ali Larayedh told Reuters, “There is a relation between leaders of Ansar al Sharia [Tunisia], al Qaeda in the Islamic Maghreb and Ansar al Sharia in Libya. We are coordinating with our neighbors over that.”Thomas Joscelyn, “Al Qaeda and the Threat in North Africa,” Long War Journal, November 21, 2013, http://www.longwarjournal.org/archives/2013/11/al_qaeda_and_the_thr_1.php. The U.S. government has commented that this relationship is financial, with David Cohen, then–Undersecretary of the Treasury for Terrorism and Financial Intelligence, saying that “AQIM… has provided funding for other terrorist groups including Ansar al-Sharia in Tunisia.”“Remarks of Under Secretary for Terrorism and Financial Intelligence David Cohen before the Center for a New American Security on ‘Confronting New Threats in Terrorist Financing’,” U.S. Department of the Treasury, March 4, 2014, http://www.treasury.gov/press-center/press-releases/Pages/jl2308.aspx. The U.S. Department of State has described AST as “ ideologically aligned with al Qaeda and tied to its affiliates, including AQIM.”Thomas Joscelyn, “Al Qaeda-Affiliated Group Assaulted U.S. Embassy in Tunis,” Weekly Standard, January 10, 2014, http://www.weeklystandard.com/blogs/al-qaeda-affiliated-group-assaulted-us-embassy-tunis_774103.html. In December 2012, the Tunisian government identified a cell affiliated with AQIM known as the Militia of Uqba Ibn Nafaa in Tunisia.Daveed Gartenstein-Ross and Bridget Moreng, “Tunisian Jihadism after the Sousse Massacre,” Combatting Terrorism Center Sentinel 8, no. 10 (2015): 13, https://ctc.usma.edu/app/uploads/2015/10/CTCSentinel-Vol8Iss1036.pdf. The government claimed that the cell members “were known for their active participation in events organized by Ansar al Sharia” but could not prove that the cell had an “organizational relationship” with AST.Thomas Joscelyn, “Al Qaeda-Affiliated Group Assaulted U.S. Embassy in Tunis,” Weekly Standard, January 10, 2014, http://www.longwarjournal.org/archives/2012/12/tunisian_government.php#. In August 2013, the Tunisian government offered a direct link between AST and al-Qaeda when it designated AST as a terrorist organization. The government produced a handwritten “Allegiance Act” signed between Ben Hassine and AQIM leader Abdelmalik Droukdel.Daveed Gartenstein-Ross and Bridget Moreng, “Tunisia’s War with Ansar Al-Sharia: New Revelations about Al-Qaeda’s North African Network,” War on the Rocks, October 21, 2013, http://warontherocks.com/2013/10/tunisias-war-with-ansar-al-sharia-new-revelations-about-al-qaedas-north-african-network/. On social media, AST has been openly supportive of AQIM, retweeting and helping to disseminate official AQIM communications and releases. AQIM has also praised AST operations and attacks.Thomas Joscelyn, “AQIM Rejects Islamic State’s Caliphate, Reaffirms Allegiance to Zawahiri,” Long War Journal, July 14, 2014, http://www.longwarjournal.org/archives/2014/07/aqim_rejects_islamic.php. AST expressed support for ISIS in social media posts and other official communications. On April 9, 2013, AST posted a photo of ISIS militants on its website with a banner that read: “O lions of god in all the earth Call out Allah Akbar, for victory and conquest is ours. Rejoice, for the glorious caliphate is near. Our [sharia] will reign over every corner [or inch of land].”Thomas Joscelyn, “Social Media Jihad: Cheerleading Al Qaeda’s New ‘Islamic State’,” Long War Journal, April 9, 2013, http://www.longwarjournal.org/threat-matrix/archives/2013/04/social_media_jihad_cheerleadin.php. In May 2013, now-deceased AST deputy leader Kamel Zarrouk stated: “I would like to declare loud and clear, that the al-Nusra Front, Ansar al-Sharia, al-Qaeda, the Islamic State of Iraq and the mujahideen in Somalia, Mali, and Algeria, we all stand united against our enemies.”Mischa Benoit-Lavelle, “Tunisia Considers Crackdown on Radical Preachers,” Al-Monitor, May 10, 2013, http://www.al-monitor.com/pulse/fr/contents/articles/opinion/2013/05/tunisia-terrorist-crackdown.html. However, when al-Qaeda formally severed ties with ISIS in February 2014, AST members were already divided in their support for the two groups.Daveed Gartenstein-Ross and Bridget Moreng, “Tunisian Jihadism after the Sousse Massacre,” Combatting Terrorism Center Sentinel 8, no. 10 (2015): 15, https://ctc.usma.edu/app/uploads/2015/10/CTCSentinel-Vol8Iss1036.pdf. Over the course of 2014, a number of AST leaders, including AST spokesman Seifeddine Rais, pledged allegiance to ISIS leader Abu Bakr al-Baghdadi.Abdallah Suleiman Ali, “Global Jihadists Recognize Islamic State,” Al-Monitor, July 3, 2014, http://www.al-monitor.com/pulse/security/2014/07/syria-iraq-isis-islamic-caliphate-global-recognition.html#; Jemal Arfaoui, “Tunisia: Ansar Al-Sharia Spokesman Backs Isis,” AllAfrica, May 14, 2013, http://allafrica.com/stories/201407090299.html. After evading government capture in Tunis, Zarrouk reportedly traveled to Syria to fight alongside ISIS. Magharebia reported that “Zarrouk is known in his [Tunisian] neighborhood as someone who encouraged young people to go for jihad in Syria, which he considers to be the springboard for establishing an Islamic state from the Gulf to the ocean.”Haim Malka and Margo Balboni, “Getting There: Journeys to Foreign Battle Zones,” Center for Strategic & International Studies, June 2016, http://foreignfighters.csis.org/tunisia/getting-there.html; Bill Roggio, “Ansar Al Sharia Tunisia Deputy Leader Reportedly in Syria,” Long War Journal, February 27, 2014, http://www.longwarjournal.org/archives/2014/02/ansar_al_sharia_tuni_7.php. Contrarily, AST leader Seifallah Ben Hassine discouraged Tunisians from migrating to “active jihad fronts” abroad, lamenting that the wars in Syria and Mali had “emptied Tunisia of its young.”Daveed Gartenstein-Ross, “Ansar Al-Sharia Tunisia’s Long Game: Dawa, Hisba, and Jihad,” International Centre for Counter-Terrorism–The Hague, May 2013, http://www.icct.nl/download/file/Gartenstein-Ross-Ansar-al-Sharia-Tunisia%27s-Long-Game-May-2013.pdf; Bill Roggio, “Ansar Al Sharia Tunisia Deputy Leader Reportedly in Syria,” Long War Journal, February 27, 2014, http://www.longwarjournal.org/archives/2014/02/ansar_al_sharia_tuni_7.php. After the Tunisian government designated AST as a terrorist organization in August 27, 2013, a large number of AST members traveled to Syria to fight alongside ISIS.Aaron Zelin, “Tunisian jihadism five years after Ansar al-Sharia,” Middle East Institute, September 16, 2018, http://www.mei.edu/content/article/tunisian-jihadism-five-years-after-ansar-al-sharia. In February 2014, it was estimated that more than 5,000 Tunisians had traveled to Syria to fight against Bashar al-Assad’s government.Bill Roggio, “Ansar Al Sharia Tunisia Deputy Leader Reportedly in Syria,” Long War Journal, February 27, 2014, http://www.longwarjournal.org/archives/2014/02/ansar_al_sharia_tuni_7.php. That same month, Tunisian Interior Minister Lofti Ben Jeddou reported that Tunisian security forces had prevented 8,000 Tunisians from traveling to Syria to fight.Bill Roggio, “Ansar Al Sharia Tunisia Deputy Leader Reportedly in Syria,” Long War Journal, February 27, 2014, http://www.longwarjournal.org/archives/2014/02/ansar_al_sharia_tuni_7.php. Tunisians have featured heavily in ISIS propaganda, and ISIS has regularly eulogized Tunisian fighters and suicide bombers.Bill Roggio, “Ansar Al Sharia Tunisia Deputy Leader Reportedly in Syria,” Long War Journal, February 27, 2014, http://www.longwarjournal.org/archives/2014/02/ansar_al_sharia_tuni_7.php. AST and ASL shared logistical, financial, and operational ties.Faisal Irshaid, “Profile: Libya’s Ansar Al-Sharia,” BBC News, June 13, 2014, http://www.bbc.com/news/world-africa-27732589. The United Nations found that ASL’s Derna branch had provided significant support to AST in recruitment and the acquisition of weapons.“Narrative Summaries of Reasons for Listing,” United Nations Security Council,” February 3, 2016, https://www.un.org/sc/suborg/en/sanctions/1267/aq_sanctions_list/summaries/entity/ansar-al-charia-derna. ASL also reportedly provided AST members with combat training at military camps in Libya.Aaron Zelin, “Tunisia: Uncovering Ansar Al-Sharia,” Think Africa Press, October 25, 2013, http://thinkafricapress.com/tunisia/uncovering-ansar-al-sharia. AST members have openly commented on the group’s relations with ASL, with one anonymous founding member of AST stating in a 2013 interview that the groups, along with Ansar al-Sharia Egypt, are connected like a “spider web.” Members of the three organizations reportedly met and traveled together in the Gaza Strip and in northern Sinai in 2012 to discuss administration, organization, and management with Palestinian Salafists.Aaron Zelin, “Tunisia: Uncovering Ansar Al-Sharia,” Think Africa Press, October 25, 2013, http://thinkafricapress.com/tunisia/uncovering-ansar-al-sharia. “Let the entire world celebrate the death of one of our Ummah’s leaders since the death and martyrdom of our leaders for the sake of this straight path… is an indication of the truthfulness of our way…This is the allegiance, and that is the promise to Allah—do not regress after the death of your sheikh [i.e., bin Laden], or the deaths of your leaders. Remain steadfast—and die for [the same cause] for which the best among you died.”Thomas Joscelyn, “Ansar Al-Sharia Tunisia Honors Senior Al Qaeda ‘Martyrs,’” Long War Journal, January 30, 2013, http://www.longwarjournal.org/archives/2013/01/ansar_al_sharia_tuni_3.php#. AST is a violent jihadist group that seeks to implement sharia (Islamic law) in Tunisia. The group has initiated several violent protests, including the September 2012 attack on the U.S. embassy in Tunis.